Fuel filter with 10 micron stainless steel 200mm filter element, allowing for high flow rates with minimal pressure drop. 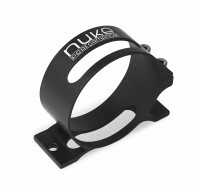 Slim design to be used in combination with Nuke Performance Universal Bracket with slim filter inserts. 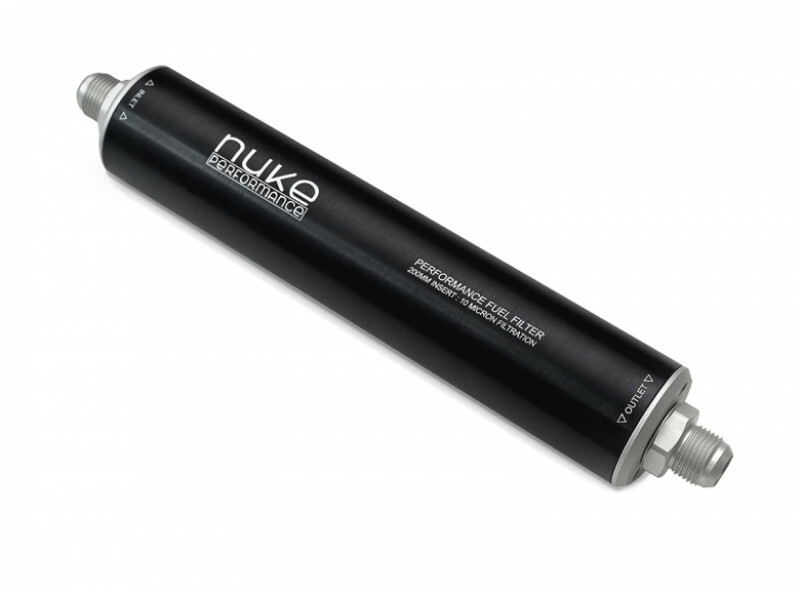 This is a new and improved design that is much lighter than any previous Nuke Performance fuel filter. 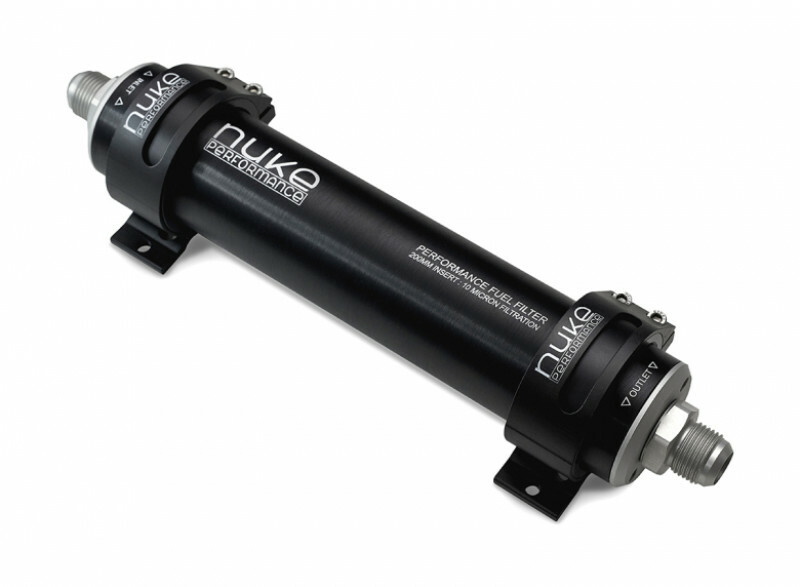 Designed to stand up to the destructive properties of alcohol fuels, including methanol and ethanol, Nuke's filters is an inexpensive insurance policy to protect your engine.  General usage and most popular version delivered with either 2x 3/4 UNF to AN-8 fittings for use with AN-8 hose connections. When using ethanol and methanol fuel, we strongly recommend to clean the internal filter unit once a season, especially when using ethanol. 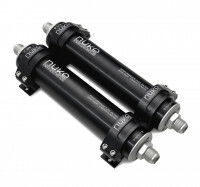 Use with single or dual universal bracket and 55mm insert for a clean and easy install.